Small business owners who don’t have a lot of money for advertising, may enjoy this special short-term offer from Orange Live. In October, a candidate requested that we post a campaign ad in our right side column for one week. We agreed to this and found that the ad performed incredibly well. Then, in November, a second candidate asked for ad space for a six-day period. Again, we agreed and provided a daily rate. That ad, too, performed and continues to perform, incredibly well. This said, Orange Live believes that some businesses that have weekly holiday specials or last-minute events may appreciate the opportunity to be able to get the word out in an eye-catching ad on our website. This would include restaurants that have space for holiday parties, gift certificates, are taking holiday dinner reservations or want to get the word out about a special promotion. How about a jewelry store with a one-week Christmas sale? Maybe a boutique that’s having a one-night wine and cheese party and sale? We believe that Orange Live has some of the most reasonable advertising rates in the area, and we provide our clients with the views, hovers, and clicks that their ad receives on our site. Surely, you will find that advertising on Orange Live works, and the short-term agreement will give you an opportunity to try it out, no matter what your budget is. We’ve never heard of anyone else with an offer like this. 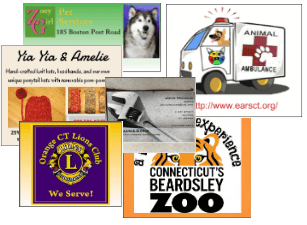 You may send us a prepared ad to post, or we will custom build one for you at no extra cost. Call Terri at 203-506-1747 and leave a message or e-mail orangectlive01@gmail.com and we will be delighted to work with you.